NEW BLOW OUT PRICING on select spaces for $0.55 nnn (first 6 month rate on a 3 year lease) !!!!! 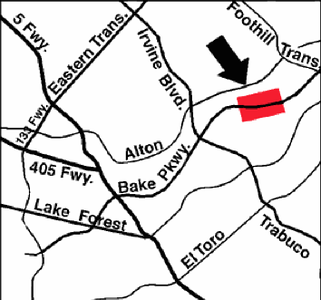 This gallery showcases 2 properties in Lake Forest off Bake Pkwy and Trabuco / Irvine Blvd. and the other one closer to the toll road nestled in the beautiful rolling foot hills. These office and flex R&D buildings offer a mix of serene beauty and high image, modern tech professionalism. The lease rates are flexible offering a mix of FREE RENT, early possession, tenant improvements, and rent concessions. In the first quarter of 2010, I have represented three businesses in successfully negotiating leases in these two business centers. Clients include: http://www.rmrlabz.com | http://distinctivepublishing.com | http://smartneedle.com Please contact me, Jordan De Meis 714-745-6297 (direct mobile)/ 714-434-4831 office / Email Me I would love to come visit your business and get an understanding of your needs. I look forward to hearing from you.